PITTSBORO, N.C. (November 1, 2018): The 2018 Flatout Gaskets Nitrous Wars is one for the history books. Although a quick look at the 2018 season Pro Nitrous pole setters shows incredible parity in the class, all but one of those drivers relies on Musi Racing Engines power. When it was all said and done after Virginia, a Musi driver was on top of the pack seven out of eight events, with Jay Cox giving Buck Racing Engines one lone #1 qualifier award at the second tour stop. 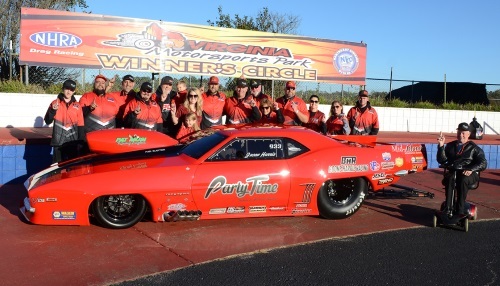 The PDRA World Finals was plagued with a host of bad weather, but racers still made some incredible runs. 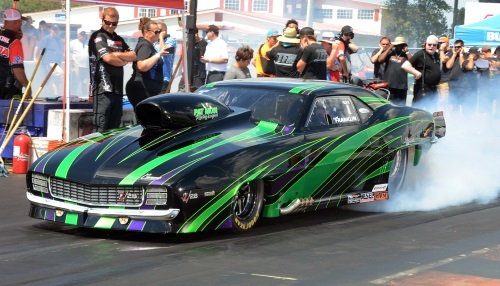 After the final round of qualifying it was Danny Sauro (Musi) in first with a 3.658, Jim Halsey (Fulton) in second with a 3.663 and Jay Cox (Buck) with a 3.675.